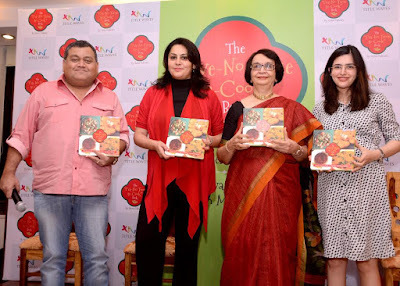 Press Release: Mumbai: December4,2015 : Renowned Foodie Kunal Vijayakar, today launched The ” I’ve No Time to Cook” Book by Veena Gidwani, a strategic Public Relations Consultant with a long and successful career in PR , who has been equally passionate about her career and her love for cooking. Veena realized the importance of fresh home cooked food, especially in today's highly stressful and busy urban life of most working people, who lack the time and inclination to cook and therefore resort to eating out or ordering out food. Stemming from this insight, The “I’ve no Time To Cook “ Book contains a collection of her special, easy-to-make and quick recipes, and hopes to inspire many men and women to attempt cooking, eat healthy and win over family and friends with their culinary delights. The book contains sections on setting up your kitchen, understanding the basics of cooking, recipes for every meal of the day and also a section on making leftover food interesting. Each recipe carries a practical and useful tip. Published by Half Baked Beans, the book carries positive feedback from food experts, celebrities and successful busy executives. 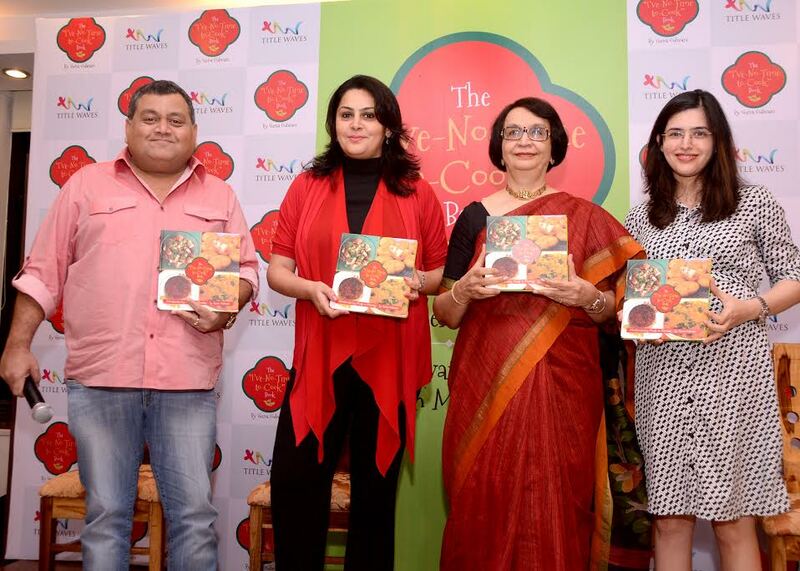 Special guests at the launch, Lara Balsara, Executive Director Madison World and Mini Menon, Author and Journalist participated in a discussion that showcased the importance of home cooking, with Kunal and Veena sharing that cooking can actually be a lot of fun and a stress buster for today’s busy professionals.